Suitable for watches with flat tyre. Time Zone 2 France. Watch Phone Battery Indicators. Step Counter. Weather place and current temperature and weather conditions. 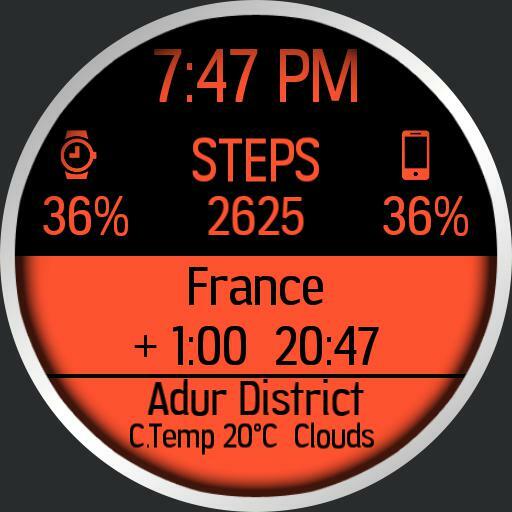 Tap Watch Icon For Previous Colour. Tap Phone Icon For Next Colour.